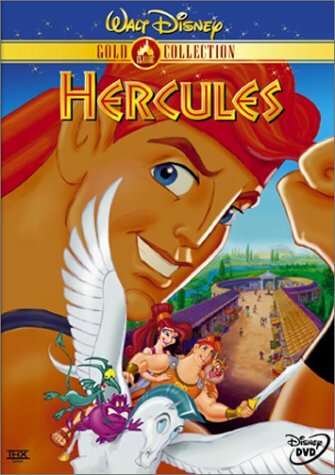 Check out Briana's review of this week's film, Hercules, then listen to the podcast for more. Friends have tortured me for a long time about seeing this film and I’m happy to say that I finally did! Released in 1997, Hercules is centered around his life and how being turned into a mortal kept him from living an immortal life. Like every true Disney film, this has a solid symbolic story of finding yourself and what you need to do in order to be happy. This film is visually beautiful. The bright colors are bound to catch anyone’s eye and were well placed throughout. Hearing “Go the Distance” in the background of select scenes is enough to put a chill through the heart of any Disney fan, as this tune is recognizable during the Wishes fireworks display at the Magic Kingdom park in Walt Disney World. The bond which Hercules and Pegasus form is absolutely heart-warming. I love how the little head bump which baby Hercules began became a trend for Pegasus upon meeting new people, or accepting them as in Megara’s case. Was baby Hercules not the most adorable creature ever?! Disney has a way of making animated animals and babies to be the most precious objects on the screen. The characters were great in this film. Not sure if I would go so far as to say they were well-rounded and thorough, but definitely enjoyable. Tate Donovan voiced Hercules, who stars in the TV show Damages, as well as the former teen soap The O.C. He continues to provide the voice for Hercules in the Kingdom Hearts video games. The much recognizable Danny DeVito supplies the voice for Philoctetes, who is rough on the exterior but a gushball on the interior. I was racking my brain trying to think of the voice of Hades, and it finally hit me…when I saw the credits, that is. Ahem. Kudos is given to the remarkable James Woods for the wonderfully evil Hades. Woods has appeared in a countless number of films and television shows. Woods, similar to Donovan, continues to provide Hades’ voice for Kingdom Hearts, and provided it for the wonderful Disney Channel show House of Mouse as well (am I the only one who misses that?). The delightful Susan Egan voices hard hitting Megara in the film. Egan has also collaborated with Disney in other areas, including a performance in Gotta Kick It Up, a Disney Channel Original Movie, as well as the anime film Spirited Away. Additional credit must be given to the truly awesome Bobcat Goldthwait and Matt Frewer for the voices of Pain and Panic, and to Rip Torn for providing the strong voice of Zeus. Speaking of strong voices, did you wonder who the narrator was? That would be the epic man himself, Moses. Er, Charlton Heston, I meant to say. Ron Clements and John Musker were the directors of Hercules. Clements and Musker also directed The Princess and the Frog, Treasure Planet, Aladdin, The Little Mermaid, and The Great Mouse Detective. (Being that they directed The Little Mermaid, this automatically makes them two of my favorite people.) They also took a part in writing said films, including The Black Cauldron. The music is great as well. To be honest, “Go the Distance” is one of my top five favorite Disney songs, so to actually hear it in the film was outstanding. And as I mentioned above, it gave me a chill. The words are very touching and hit close to home for anyone who has had difficulty in finding out who they really are and what they are meant to do in life. The lines “down an unknown road, to embrace my fate, though that road may wander” speak tremendously to my heart, as I’m sure it does to many others who have heard these words being sung. I noticed a couple of references to other films. Hades’ line “Mr. Zeus, Mr. ‘Hey you, get off my cloud’” brought an outward chuckle, and was a nod to The Rolling Stones’ song. At one point in the film, Megara mentions Hercules making an offer she had to refuse, which is an often used tribute to the first film of The Godfather. My personal favorite is when Pegasus rolls an apple out of a tree, which hits Hercules on the head, and Pegasus quietly whispers the tune of Steamboat Willie’s memorable song. The only thing which startled me about the film was their ideas of how the underworld would be. Their revealing images would disturb many children. Hopefully, kids will not quite understand the depths of its meaning, especially toward the end during the classic Disney fake death scene. It disturbed me to a small extent, but perhaps because I understood what they were saying. Again, maybe children will not. My favorite part of this film is when the mortal couple find baby Hercules. Pain & Panic transform themselves into snakes and are about to attack, when the baby ties them up and lunges them into the air. The stunned look on the parents’ faces says it all. My favorite character in the film is absolutely Pegasus. I always go for the endearing animal/pet in a film. Happy 15th Birthday to this film!!! I’m a damsel, I’m in distress, I can handle this. Have a nice day.